Stanton’s 300th Dinger Is Dilly Dilly!? Thursday New York Yankees slugger Giancarlo Stanton hit his 300th home run off of the Detroit Tiger’s left-hander Francisco Liriano. I am certain that although Stanton had not hit a home run since August 18th, that he will hit a few more in a lifetime, and there will be a few more home run milestones in his career in pinstripes. But 300 is a big accomplishment, and should be celebrated. So much though that it earned him a curtain call, his first in Yankee stadium. It may have also netted Stanton a new #1 fan. At least until the next home run milestone. According to Jack Curry of the YES Network, a fan by the name of Tim Kunz gave the historic artifact to a team official in exchange for an interesting package of gifts. A chance to meet the slugger … totally understand. Autographed baseballs … I am a huge autograph guy as well, and this would be a must, but I would try to get a jersey or a bat or a batting helmet and I would make sure that I could send him a package of things at a later date that he would also autograph for me. Tickets to a future game … hopefully not just any tickets. A clubhouse/field tour … not sure if this would be on my personal list or not. I am sure the Yankees offer these for a minimum charge a number of times during the season. But 2 Bud Lights? … creative, hopefully he turns this to a sit down conversation with the slugger. For me that would be a must. A sit down meal where I could just have a casual conversation with him. I have often heard the saying, “He is a guy I would like to sit and have a beer with.” I assume that is where the fan is going with this request, and if he is all I have to say is…….dilly dilly. What would be the one thing you would ask for in return for giving a milestone baseball back to a player? Leave your comments in the section below. There is no question that this Red Sox team is a special one. Despite having the highest payroll in baseball, I am confident that no one expected such greatness from this roster back in the spring. What they have put together so far is nothing short of impressive, and I have zero reason to believe this won’t continue long into the fall. The best record in Boston Red Sox team history is held by the 1912 club, which finished with 105 wins. That is several wins shy of the league record, however, which is owned by the 2001 Seattle Mariners and the 1906 Chicago Cubs at 116 wins. The real question now is can this Red Sox squad beat either of those records? The team currently stands at 88-37, winning slightly better than 70% of their games thus far. They are on pace to finish (based on their current win percentage) at 114 wins. That would be a team record, but a few wins shy of hitting the league’s best mark. It is my opinion they are a lock to break the team record. They would only need 18 wins out of their last 37 games (that’s right, a losing record) to hit 106 wins and be the “best” Red Sox team in franchise history. I see no way that doesn’t happen, even with ace Starting Pitcher Chris Sale going on his second DL stint in recent weeks. Can they hit the magic 117 though? While it is very possible, I think it is more important for the team to continue to focus on their plan of scheduling rest for their players to make sure they are fresh and at peak performance for a deep playoff run. Could they go 29-8? Sure, I absolutely think that is well within the realm of possibility. I don’t think it is likely, however, and I really don’t think it should be a focus for the team. It is hard to deny that it would be an amazing accomplishment to break the all-time record. Do I hope they do it? As a fan, of course I do, what fan wouldn’t? But it is substantially more important to focus on staying healthy for what I hope to be a World Series winning year. What is my prediction for their final record? 110-52 and a World Series trophy – I’ll take it. Yankees Continue to Improve – Have the Red Sox Done Enough? With the trade deadline fast approaching, Red Sox Nation is left with one burning question – have the Sox done enough to stay at the top? The New York Yankees have made substantial moves to upgrade their current roster, by acquiring both Starting Pitcher JA Happ and Relief Pitcher Zach Britton. Credit must be given to Yankee GM Brian Cashman who has crafted, in my opinion, two solid deals where little to no major league talent or top prospects had to be sacrificed. While the trades were both solid wins for the Bronx Bombers, there is another important aspect to these trades. In fact, it may very well be the most important point – Cashman has kept the arch rival BoSox from landing two key pieces they also could have used to fill out their roster. The Red Sox have already proven to be an offensive juggernaut this season, led by their off-season acquisition of slugging Outfielder JD Martinez. Time and time again, however, we have games that remind us of the Red Sox true need, pitching – both starting and relief. The Sox did work on filling their need for a starter by acquiring Starting Pitcher Nathan Eovaldi. Eovaldi dazzled in his debut for the Sox, and should fit right into a 4/5 role. Which is not a bad option for them, and considering the lack of farm system assets the Red Sox hold, it is understandable that they would target someone like this, versus a Cole Hamels caliber player. But even more so, the real need lies in the bullpen for the Red Sox. They desperately need a bullpen arm, ideally a lefty, to help offset the eight right handers they currently hold in their pen. A need even further highlighted by the fantastic bullpen that the Yankees own (even before acquiring Britton). Who could they turn to? Francisco Liriano is one name being floated about. While he has historically been a Starting Pitcher (without a lot of success this year), he has still continued to be great against lefties. Some experts feel he could be moved to a team looking for a lefty specialist out of the pen (enter the Boston Red Sox). Another name being floated about is Relief Pitcher Brad Ziegler of the Miami Marlins. 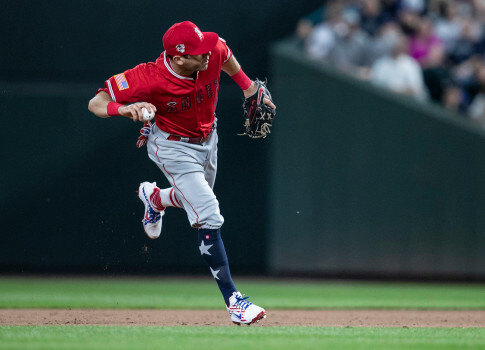 There are certainly countless other possibilities the team could look into, including infield help, but the question still remains – have they done enough as it stands right now? 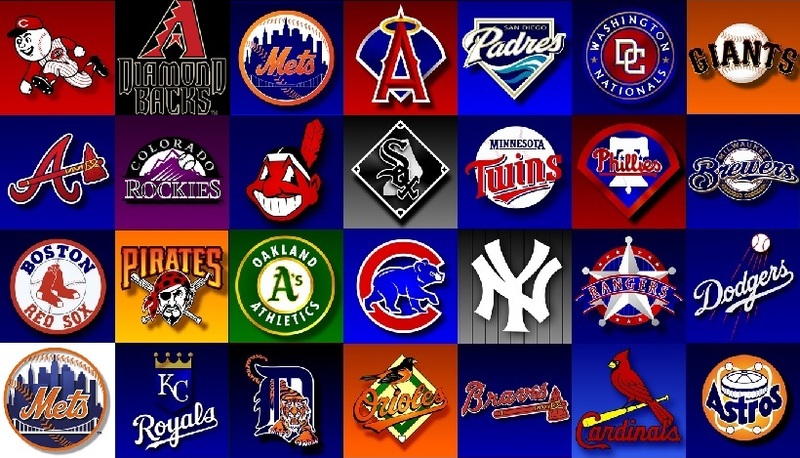 They have certainly appeared to be the best team in baseball so far, but with the improvements to the Yankees roster looking to close the gap, I think all of Red Sox Nation would feel more comfortable if they acquired one more relief arm to ensure they are prepared for a deep playoff run. That is what they truly need to hold onto their coveted top spot. Will they land someone before the deadline? Only time will tell. The @RedSox have acquired Ian Kinsler from @Angels. The Sox will also receive $1.8 of the remaining $3.6MM still owed to Kinsler for the 2018 season then he is a free agent. The Sox sent AAA LHP Williams Jerez with a 24/67 BB/K ratio & AAA LHP Ty Buttrey & his 14/64 BB/k ratio to complete the trade. It’s easy to understand the conspiracy theories that are arising in response to Gary Sanchez being placed on the Disabled List by the Yankees. The timing is poor. Last night’s game saw not one, but two instances of slow baseball. First, a miscommunication between Sanchez and starting pitcher Luis Severino led to a ball getting away. Instead of racing towards the ball, Sanchez took a slow jog over to grab it. In that time, the runner on second scored. Gary Sanchez steps up with two outs in the ninth inning. The Yankees are down by one run. He hits a hard grounder to second base, which looked like an easy force out. Aaron Hicks gave the run his all and beat the tag, being called safe at second. Instinctively, the ball was then thrown to first. Sanchez was slow jogging again and once more, costing the Yankees. The power hitting catcher has never been known for his defense, but even his offense this season has been slumping. After the game, no blame was placed on an injury. Less than twenty-four hours later, the story changed. Not to imply anything deceitful here on part of the Yankees, but Sanchez should have spoken up if he felt he was hurt. On the first inning play where he lacked hustle, he claimed he was injured. While it’s admirable to want to play through pain, it’s also not smart. If the injury is to blame for the lack of speed, than the injury was clearly severe enough to warrant being pulled from the game. Put Austin Romine in. He’s healthy and thus can react quickly. Either way here, Sanchez is at fault. The Yankees are in contention, but the red hot Red Sox are spreading the gap without a sign of slowing down. The need for the Bronx Bombers to have a healthy lineup on the field is critical. If any player feels hurt, they shouldn’t be playing. If a catcher doesn’t feel like he’s at full health, he shouldn’t be spending the night fielding high speed pitches and running bases. Hopefully manager Aaron Boone has this operation under control. The second half may have just started, but the time is running out. It’s almost August. When Gary Sanchez comes back at full health, he needs to be fully engaged in his job. How Should The Yankees Address Starting Rotation Problems? The Yankees are having a great season, but it doesn’t feel that way for fans who see Boston leading the division. No matter how well the Bronx Bombers do, it’s never enough until the Red Sox are trailing. A lot of the problem right now is the starting rotation. Short starts wear out the bullpen and losses make the hill steeper to climb. What do the Yankees need to do to reclaim the top spot? Domingo German was recently optioned to Triple A Scranton/Wilkes-Barre. After starting off strong with a no-hit performance, he went on to go 2-6 with a 5.68 ERA. In his place, the plan is to bring Luis Cessa back up from the RailRiders. Cessa is 3-1 with a 1.82 ERA over five minor league starts, but can he maintain that success in the Bronx? This only addresses one spot. The other dilemma involves Sonny Gray. Gray was 44-36 in his career with Oakland, posting a 3.42 ERA. He hasn’t been that strong since the Yankees acquired him. In 11 games for the Yankees last year, he went 4-7 with a 3.72 ERA. So far this year, he’s 7-7 with a 5.34 ERA. This is hardly the consistency that was expected when Gray was acquired last summer. The easy answer is to make a trade to replace him. But while many are clamoring for a trade, it’s not feasible. Given its a weak market for starters, prices will remain high. Madison Bumgarner won’t be available with the Giants only 5 games back in the division and 4.5 for the wild card. Michael Fulmer is injured. J.A. Happ has been an oft-speculated target, but he’s 2-3 with a 5.20 ERA over his last seven outings. The Mets appear hesitant to part with Noah Syndergaard and Jacob DeGrom, while reportedly preferring to ship out Zack Wheeler first. Wheeler is 3-6 with a 4.44 ERA this season. When you factor in the cost, it’s probably better at this point to stick with Sonny Gray. Gray is 2-0 over his last two outings with a 1.59 ERA. While this is a small sample size, it’s an encouraging change of pace. Should the Yankees roll the dice and stick with Gray past the deadline? Even if he reverts to his poor performances, all is not lost. At that point, the Yankees should explore calling up Justus Sheffield. Sheffield is the organization’s top pitching prospect and landed 12 on Keith Law’s Midseason Top 50 Prospects list. He is currently 3-3 with a 2.44 ERA in Triple-A. While some question whether he is mentally ready for Major League Baseball, Yankees veteran C.C. Sabathia has given him a strong vote of confidence. In comments to Brendon Kuty of NJ.com, Sabathia said Sheffield is one thousand percent ready and spoke highly of the pitcher. Sabathia and Sheffield have a close relationship, texting often about pitching. Sabathia himself monitors the prospect’s career as well. The impulse for fans and commentators may be to call for a trade. The Yankees have developed an impatient reputation over the years, often resorting to heavy trades and big splashes. Times have changed and general manager Brian Cashman has been building a new dynasty that has begun contending ahead of schedule. The Yankees should absolutely address the starting rotation problem, but do so internally. The organization has options. The DH position is one of the most debated among the baseball community. Many believe that the position should apply to both the American and National league. Some believe it should remain how it is. What isn’t debated is the position holds some of the best sluggers the game has to offer. We have seen the likes of Albert Pujols and Miguel Cabrera make their living as a DH in the twilight of their careers. We have also seen teams like the Yankees use the position as a means to rest their sluggers in the field while also giving them four at-bats in a game. These two sluggers I will discuss have made a definite impact on their teams. The undisputed starter. Martinez will earn himself his first time as a starter in the All-Star game. Why? Merely because he is having an MVP caliber season, batting .325/.393/.636, with an OPS of 1.029. The veteran is also tied for the league-lead in home runs (23) and has batted in 60 runs. He is having a phenomenal season and is certainly earning that big contract the Red Sox gave him this spring. It has been a long road for Martinez, who was cut by Houston in 2013 and reinvented himself as a star in Detroit and Arizona. The Red Sox signed him to keep up with the Yankees and he has certainly lived up to everyone’s expectations and exceeded them. This was a difficult decision as Gattis is certainly neck-and-neck with Stanton. However, Stanton is slashing better than him in every category, batting .262/.335/.517 with an OPS of .853. Stanton has also knocked in 19 home runs and 44 RBIs. Stanton is having a bit of a down season after his NL MVP year. I think he is having a difficult time adjusting to the spotlight and expectation in New York. After hitting a walk-off against the Mariners, I expect Stanton to start looking like himself again. He seems like he has relaxed a bit and in the last 7 days is hitting .448 with 3 home runs and 7 RBIs. Look for Stanton to continue this hot streak through the All-Star break.